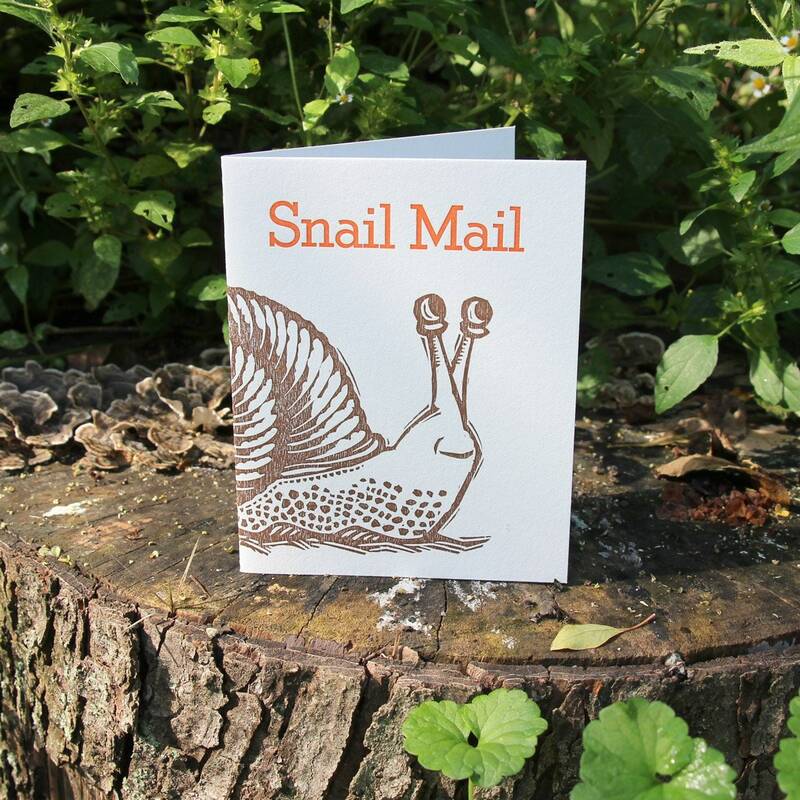 Letterpress Greeting Card: "Snail Mail"
A letterpress greeting card perfect for your cheerful, unhurried messages! 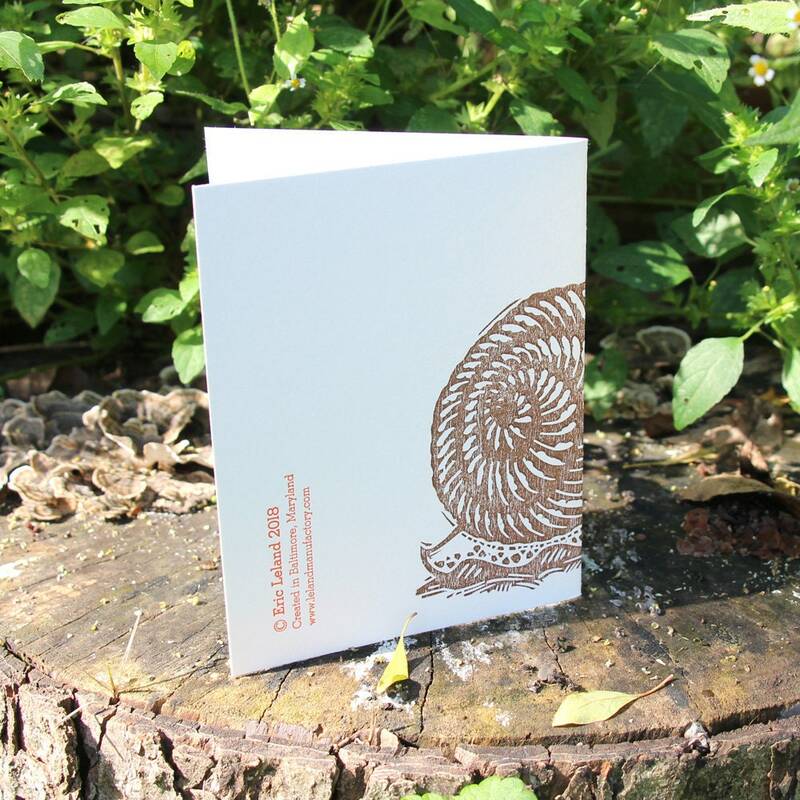 These cards are approximately 4" wide by 5-1/2" tall, printed in brown and orange ink on sturdy pearl white paper and come paired with matching envelope. 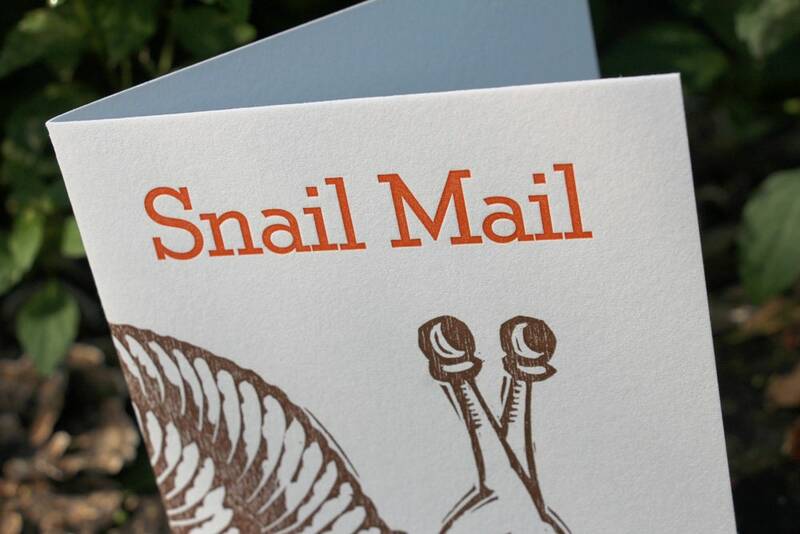 These are printed with metal type and my own hand-carved wood block on my Chandler and Price printing press. The inside of each card is blank and ready for your sentiments. My name and website are printed subtly on the back.